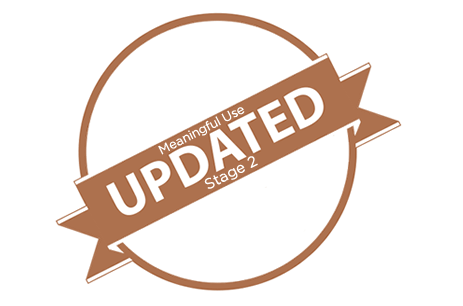 MOUNTAIN VIEW, CA–(Jul 21, 2014) – drchrono, the free Electronic Health Record (EHR) platform on the iPad, iPhone and cloud, today announced it has officially been certified for Meaningful Use (MU) Stage 2. Additional health education, giving additional information on drugs, allergies and lab results. Direct Messaging: Secure messaging for transitions of care and patient referrals between medical providers compatible with other software. Secure electronic messaging to communicate with patients. Provide patients access to view online, download and transmit their health information. Family history and smoking status tracking. Additional immunization compatibility: Vaccine information. In addition to getting certified, drchrono announced today the drchrono iPad EHR has been ranked as the #1 mobile EHR for the second year in a row by Black Book Rankings, winning in 2013 and 2014. Black Book Rankings invited 22,000+ physicians, medical providers and professionals to evaluate medical software. drchrono ranked #1 in innovation, value and customer care. drchrono focuses on Apple’s iPad, iPhone and cloud computing to build a better healthcare experience. The company offers a free EHR platform, with a focus on iPad that is Meaningful Use certified. drchrono’s iPad EHR is the first to implement real-time clinical speech-to-text, patient eligibility checks and iPad-based medical billing. drchrono handles everything doctors need to run their practice, including medical records, electronic prescribing, medical billing and patient management. For more information, visit https://drchrono.com.